Hi guys. As I said before, I am pretending to make a video tutorial about the Duality Engine. It will be a 2D platformer, so maybe will catch the attention of the game dev community. I am planning carefully, because I want to make something decent! I was looking for a good free tileset to use and share for the tutorial. But I could not found. So I start to create one! And this will be my thread about the tutorial, and here I will show my WIP! Comment and Critcism (?) are welcome. Is my tileset good? Am I going on the right direction? 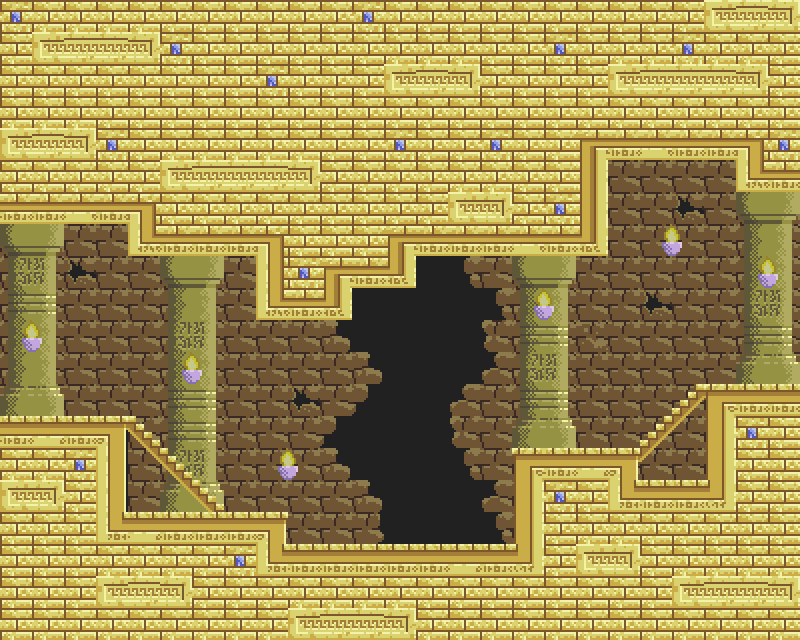 Here is the final tileset. I dont want to spend much time with this, since its my first! Here is the link to get the tileset! Please comment what you think about it! Last edited by gtkampos on 2016/10/23, 18:22, edited 1 time in total. Your tileset looks quite neat! It reminds me of an egyptian-setting. The tileset looks beautiful. Nice an colorful. Is this tileset your work? It's great, I like it! Just an idea, you could create a dimmed, blueish version of the tileset, and add some background graphics to the scene. With proper parallax setup it'll look awesome! Yes, its my work! 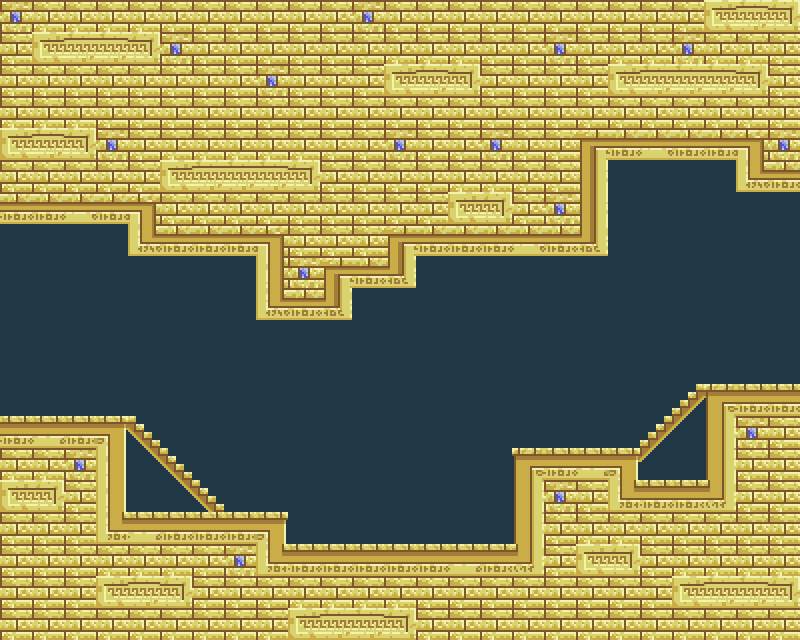 And to be honest, its my first "professional-useful-decent" tileset ever! I liked your sugestion. Im finishing the background elements, and after I call done, I will change the colors to a blueish look! Thanx! Hey guys, noob question. If I just edit my first post here, it will appear as no readed on forum? Because I made an edit showing my tileset complete and provided a link to the resource, but no one has answered. it looks, that it doesn't appear as unread, yes. once again, very nice work on the tileset. The columns are excellent. Good use of dithering. The torches are a little dim. They could use a more vibrant color imo. Background bricks are also well done, but it's a little inconsistent with the foreground bricks. Being bigger and more ruiny. Of course, it's just an opinion, hope it helps. If you edit the comment, if it was read, it wll still be marked as read. No way to change that. I'd say, make a bump if you want to be noticed. This forum doesn't have much of spam yet, so I'd say it is ok. The tileset looks great to me. Wanna see it in action! That tileset looks really nice! Especially if this is your first shot at pixel art. Hey guys, noob question. If I just edit my first post here, it will appear as no readed on forum?